Looking for a faster, better way to recover from athletic activities, improve your performance, have fewer colds and a stronger immune system? 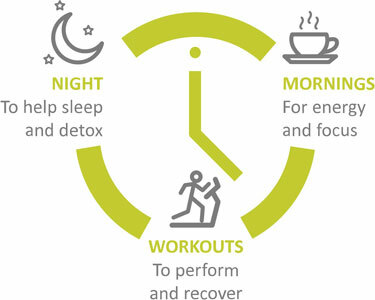 Want a more natural way to detox, reduce hangover symptoms or slow down aging? 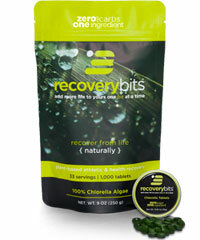 RECOVERYbits® algae tabs are your answer. Made from 100% organically grown, Non-GMO chlorella, an algae containing 40 nutrients, antioxidants and chlorophyll, this is the recovery fuel no runner or athlete should be without. 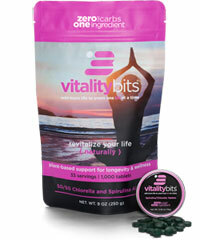 Get back in the game faster with these Bits®. An eco-friendly, sustainable food crop. 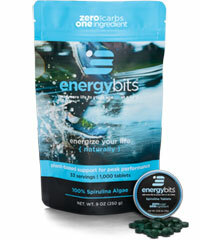 You can take them after workouts, before bed, or whenever you like to eat your greens. 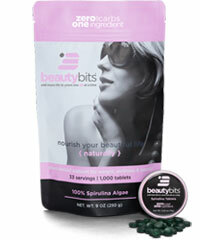 They are great during cleanses or detoxes. Take them any time you need a quick, easy, healthy, high-protein snack. 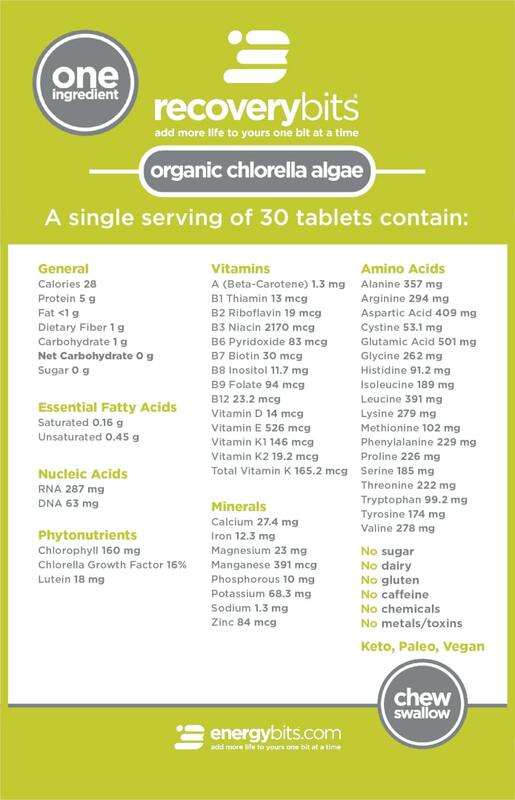 Chlorella algae tablets are your answer for better detoxes and optimized health. 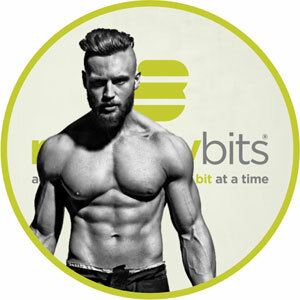 With over 40 micronutrients and plenty of protein, RECOVERYbits will boost your immune system, improve your athletic recovery and increase longevity – all naturally too!